Who to Actually blame for Manchester United's subdued transfer window? Manchester United’s mundane transfer window explains the predicament they are in under Jose Mourinho. The Portuguese is all too “negative” during his press conferences in pre-season games, citing to issues related with the board and transfer businesses. This has led us into a situation where the club is in a vague position, 10 days before the start of the new season. It was supposed to be the year when the Red Devils challenge Manchester City for the title, however, with the current circumstance in mind, things don’t look too straight-forward for the red side of Manchester. Mourinho mentioned that he listed five players to the board who will make this squad better for the upcoming season. However, with the incoming businesses done thus far, it doesn’t look like the Portuguese had all the say in it. Fred and Diogo Dalot are for sure quality players, however, they are not really the “game-changing” signings which the manager was hoping for. This is the rationale why the Portuguese is still bragging about the need for two more players before the window shuts. However, on the contrary, United are getting linked with players of extraordinarily high prices. The likes of Harry Maguire, who is a decent player at best, is reportedly being prized over £60m, which is crazy to say the least. So, this might be a case of the club scouts searching for players which are not syncing with the manager’s demands. If this is the occurrence, then Mourinho has the right to get angry and openly discuss about the situation. Emulating the above facts, it seems like there is a difference of opinion between the board and the manager. This has all the makings of a lack of trust between the two parties, which can lead to various negative impacts in the near future. Big things take place when there is an understanding among the various hierarchies of the club, which certainly isn’t the case here. Why are United unable to complete deals? The market and name attraction that “Manchester United” has is comparable to the best in the world. In each of the transfer window, they get linked with some of the big names in football, yet for some reason, the club is not able to get the deals done on top-notch quality players. During the past two summers, the Red Devils have been linked with players like Antoine Griezmann, Fabinho, even Gareth Bale, etc. but are failing to get them over the line. In fact, Fabinho joined Liverpool this summer, which is going to hurt Mourinho even more. So, the question is – why are Manchester United failing to get game-changing assets come to Old Trafford…..? The answer is series of unsystematic approach of managerial appointments, since the Sir Alex Ferguson days. Giving David Moyes the job straight after the successful reign of Sir Alex was always the wrong choice, maybe the board panicked. Post that disaster, Louis Van Gaal took over, spent loads of money but none of them seem to suit his style of football. Frankly speaking, the Dutchman never really settled at Old Trafford with his rather dull playing structure. 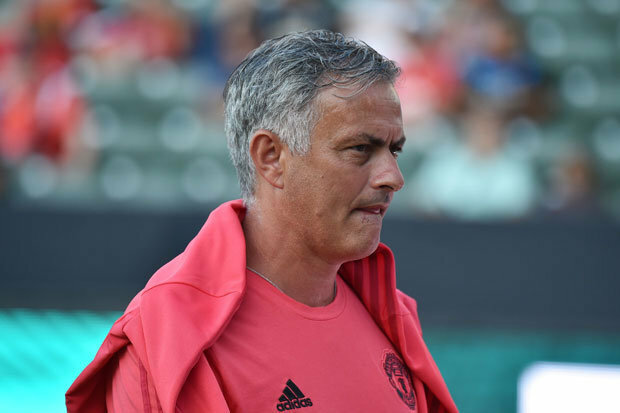 Now, with the arrival of Mourinho in 2016, there was hope, there was an exponential rise in expectations and all of a sudden, the club felt like winning the Premier League is around the corner. However, not a single person managed to realise the fact that the Portuguese is quite refuter to what the United is as a club or a footballing society. The failed tenures of Moyes and Van Gaal had already wiped some shine out of that “name attraction”, yet it still remained somehow because of the historic success of this club. Then getting Mourinho, which was again a nervous move by the board just because city rivals got Pep Guardiola. They might as well have panicked again, which is strange to witness. Historically, Manchester United have been a club which craves to win things withal to an attractive brand of football. Furthermore, under Sir Alex, there was a working youth system which promoted young talents to first-team and if viable, the manager would give them the opportunities to shine on the big stage. Even the rivals respected the club despite getting jealous of the success they had. But rhetorically speaking, Mourinho has removed that brand and brought something else which is indigestible among supporters. The Portuguese’s tedious football, mixed with his characteristic arrogance to not let youth develop, is not what the United fans wanted. This is a clear mismatch between the club and the manager’s ethos. So, this perhaps is the reason as to why it’s been quite unusual for United in the transfer market. There is an uncertainty around the club which is never a good sight. It’s quite difficult to point out as to who exactly is to blame for this hullabaloo. Maybe the board should take more responsibility because they knew what Mourinho is all about. They also understand that the club of Manchester United’s size and attraction can get affected, just because of the contradictory style in management. Moaning about players or the board is not anything new for Mourinho, United should have procured that before hiring him. This might backfire them if the Portuguese doesn’t get his act together.